Thanks to the technological advancements in the field of data analytics, the global market for neutral network software is witnessing an exponential rise in its size and revenue. Since neutral network software is highly effective in reducing the cost and operational time in a number of enterprises, its usage in business application, such as such as fraud detection and risk assessment, is increased by leaps and bounds. The neural network software market is majorly driven by the remarkable rise in the demand for data archiving tools, used for organizing a massive amount of unorganized data created by various end users. Additionally, the high adoption rate of digital technologies and the increasing demand for predicting solutions are likely to boost this market in the near future. However, the slow digitization rate across emerging markets, dearth of technical expertise, and various other operational challenges may hinder the neural network software market’ growth over the forthcoming years. Analytical software, data mining and archiving software, and optimization software are the key products available in this market. Currently, the demand for analytical software is higher than other neutral network software. However, the data mining and archiving software is expected to witness a high-paced demand growth over the next few years, thanks to the rising need for the classification and clustering of unorganized data. The significant areas where neural network software find application is financial operations, trading, business analytics, and product maintenance. Large-scale digitization and seamless connectivity of a vast variety of electronic end-points and sensors are two important aspects common to all enterprises that call themselves technologically advanced and digitally competent. To be able to make use of the vast volumes of data generated from interactions between the connected entities and apply it for the benefit of the business, effective analytical, predictive tools are required. Artificial neural networks, the computational devices, which could be either an algorithm or an actual hardware, are modeled after the operations and structure of neural network of living beings. Owing to their ability to learn from the inputs provided, much as their biological counterparts, artificial neural networks are considered to be the future of data analytics. A neural network software simulates an artificial neural network algorithm for use in a computer system and is used to apply the concepts of artificial neural networks to input data. 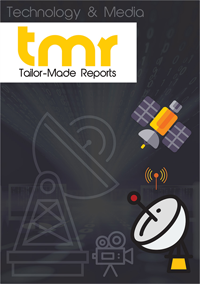 This report on the global neural network software market presents a detailed overview of the present growth dynamics of the market and its key segments. The report includes several forward-looking quantitative and qualitative projections about aspects such as market valuation, overall sales, demand and supply statistics in key regional markets, and overall future growth prospects. The neural network software market report also presents a detailed overview of the factors expected to have a notable impact on the overall development of the market in the next few years, including growth drivers, challenges, regulatory aspects across key regional markets, opportunities, and level of competition. For the study, the global market for neural network software has been segmented in terms of geography into regions such as North America, Europe, Asia Pacific, and Middle East and Africa. Of these, North America is presently the leading market in terms of revenue contribution to the global market as well as technological advancements in the field of neural network. The region leads owing to the presence of a large number of technology companies excelling in the field of neural networks, large number of enterprises with highly digitized and technologically advanced ecosystems who could be potential buyers of neural network software. In the next few years, however, regions such as Asia Pacific and Middle East and Africa are expected to emerge as the ones with the most promising growth prospects. Rising investment in smart cities, focus on digitization of processes and operations across industrial, commercial, and public sectors, and an increasing number of enterprises adopting technological implementation would foster the growth prospects of the neural network software market in these regions. Some of the world’s leading tech giants such as Google Inc., Microsoft Corporation, IBM, Intel Corporation, Qualcomm Technologies Inc., and Oracle are investing vast capital and human resources towards the development of neural networks that most closely resemble and work like the highly complex biological neural network. The market is also witnessing the entry of a large number of small- and medium-sized companies, which are helping the market gain strength through innovative neural network software solutions and systems for a vast range of applications. Other than the technology companies mentioned above, some more of the neural network software market’s most notable vendors are GMDH, Llc, Neural Technologies Limited, Afiniti, SAP SE, Ward Systems Group, Inc., Alyuda Research, Llc., Slagkryssaren Ab, Starmind International Ag, Neuralware, Slagkryssaren AB, Swiftkey, and Starmind International AG.